So, you have your new web domain and hosting, but hold on, you can’t afford a web designer and/or someone who understands coding. With WordPress you don’t really need neither and why some folk still use these type of services is a mystery! A simple Google search with a phrase like “WordPress Help” will bring up loads of choices or a You Tube search can be even better for a visual look at what needs to be done in order to make your site look the best it can be. 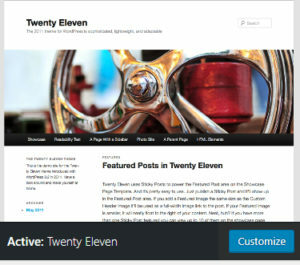 Once you log in to your new WordPress account you’ll be met with a screenshot like the one above with your dashboard and all of the available options. There are a few key areas which will make the difference to the look of your site, it’s functionality and how well the search engines you view. The first thing you want to do is make it appear pleasing to you and to any of your potential visitors. The next part is the layout of each post and how you want it all to function. The SEO part is crucial in that, you have a built-in tool which guides you on what you should do and how it will benefit you when the Google bots crawl your pages. Plugins are vital in getting the most from your site and great for social media interaction. Pages allow your visitors to navigate their way with ease and make your site more engaging. Posts are what makes or breaks how well you’ll do, as it’s the content that will either make your blog in to something quite special or just dull. 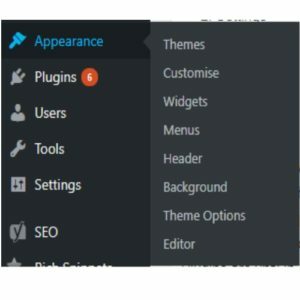 Themes – The initial thing you want to do is change the appearance from the default setting of “Hello Word” in to something which you like and suits your product and/or niche. Choose a theme from the drop-down menu that has the desire layout. I tend to stick with the “Twenty Eleven” theme which meets my requirements. Widgets – An optional thing, but something I now use on the right hand side of my homepage to highlight my own stuff which could include your own product, Facebook page, About Me profile. Background – Another important area which makes a difference to the overall look of a webpage. A simple way in which you can get your hands on a decent background image is by doing a Google search on “Background Images” and it will through up loads of options. Tip : Try and use a picture with the same repeat and don’t use an image which has a name and/or website printed on it or you could run in to problems further down the line. Header – This is another integral part of the whole process although you can go along and changer this at any time. The first thing a potential visitor will see is normally the header at the top of the webpage, so pay close attention to this. There’s a great free site called XHeader which enables you to access over 500 free headers in over 40 categories with a size of 950 x 175 which you can resize. 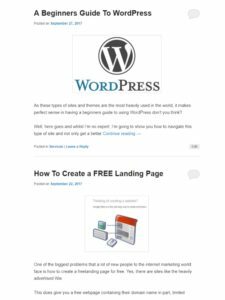 I don’t understand why so many WordPress sites I see don’t have a header and yet great content? 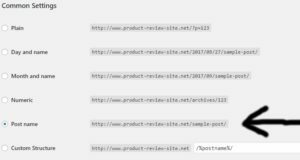 The next part is settings and more to do with the functionality of the website and how ell it will flow with regards to page URL, main web title and descriptions. Once you have this working correctly you can sort of set and forget. General – Once you have this small piece of information correct you can forget about it. The three main areas are the site title – how you want it to appear on a Google search of your website, tagline – the main description of your site which will appear on searches and the date format. 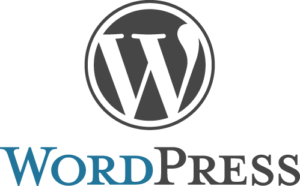 Reading – This is letting WordPress know how you want things displayed. 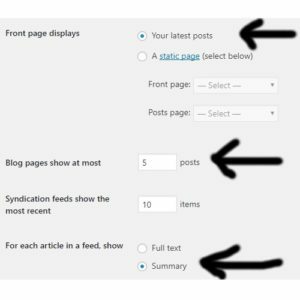 Do you want a static front page (not recommended as Google will get the impression that there’s no new content) or do you want your front page to have your latest posts. 5, 10, 15…. This i is highly recommended, as it keep things looking fresh. Important not to show complete posts, but rather a summary of each. I show you how to do this further down the page. 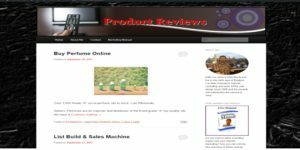 Permalinks – This another important area in the whole process and once you’ve got it sorted WordPress will know what to do for all of your future posts. The best way in which to get the most from each future post is by having the name of the product or service, as part of the page address. To do that you would select “Post Name” in this section and then save it. This has nothing to do with the design and more to do with future search engine ranking. After all, what’s the point in having the best looking site in the world if no one can find you? This is the most important part when it comes to functionality and having a social media presence. 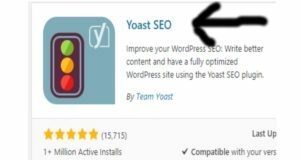 As standard your basic WordPress site has barely anything, but thankfully, you can upload tons of plugins including Yoast SEO, Facebook Page and Likes, Google +1, Pinterest. My only regret was NOT utilising all of the excellent add-ons. Probably due to fear of something messing up or conflicting with something else on the site. 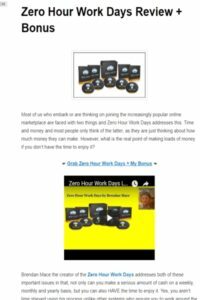 This is a part were you want to strike a fine balance between how many pages you have in your front menu and do you really need all of them. My own rule of thumb is not to go behind two lines, as ti starts to dominate the page and doesn’t look good. Remember to keep a distinction between what you want as a page and an individual post. This fundamentally what will make or break your site although you still need to have good SEO for your website and pages to be found and a decent looking site which is easy on the eye. The golden rule with any of your future posts is that, it should be original, you’ve chosen the correct keywords/phrases for your niche, is at least 300 words, relevant images and a call to action. 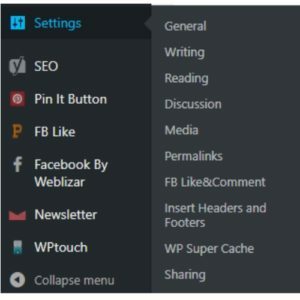 If you want to show a section of your posts on the home page of your website then, there’s a simple “Insert Read More” button your press which splices your article (see image below) and shows the part up until you separate it and a “Continue Reading” message which people can click on and this will take you to the main body of the article. 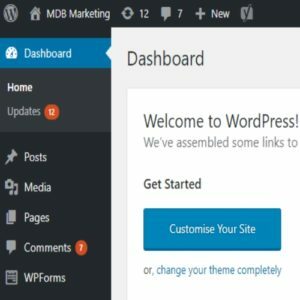 This entry was posted in Services and tagged beginners, guide, wordpress by MDB Marketing. Bookmark the permalink.